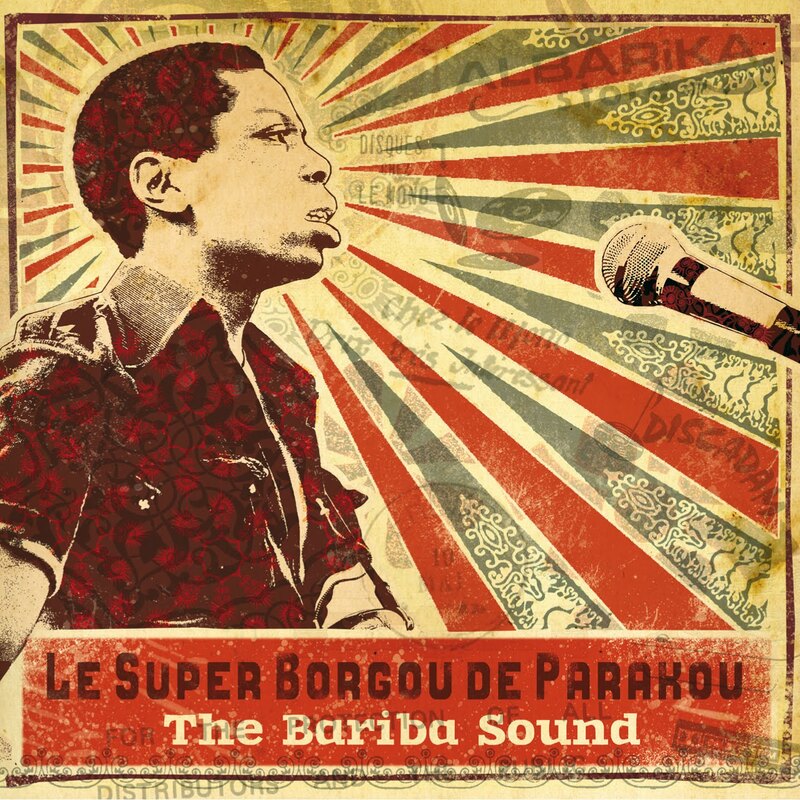 Following in the footsteps of Analog Africa’s archival work on Benin’s Orchestre Poly-Rythmo De Cotonou, here’s a band with some striking similarities from northern Benin, part of the territory that label head Samy Ben Redjeb has begun referring to as the “Islamic Funk Belt” (a region that also includes northern Ghana, Togo and Nigeria). 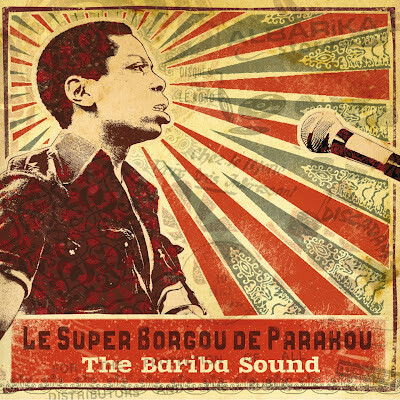 Like Poly-Rythmo, Super Borgou’s sound is rooted in the traditional rhythms of Benin -- in the latter’s case, mainly those of the Bariba and Dendi ethnic groups (track 5 is an excellent example). As professional musicians, both bands were accustomed to playing what people wanted to hear, which helps explain why both were fluent in the Cuban-derived Congolese styles that were so popular all over Africa (8 and 11, for example). And as American soul and Nigerian afrobeat made inroads, their influences were added to the mix as well (1 and 14, respectively). The end result was a fully modern rural band, simultaneously local and global in outlook. They may have been overlooked previously (as far as I can tell, only one song of theirs had been reissued before now), but they won’t be any longer thanks to this excellent release.